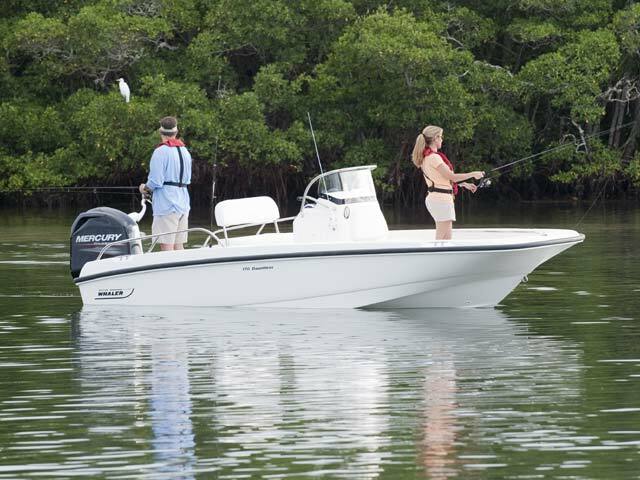 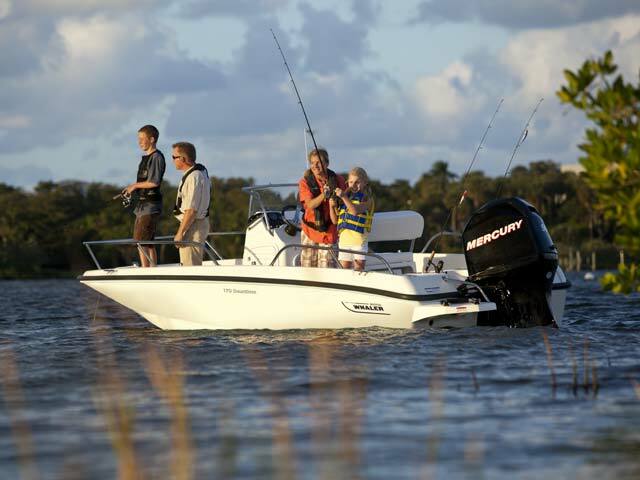 The nimble, easy-to-trailer Boston Whaler 170 Dauntless packs a ton of capability. 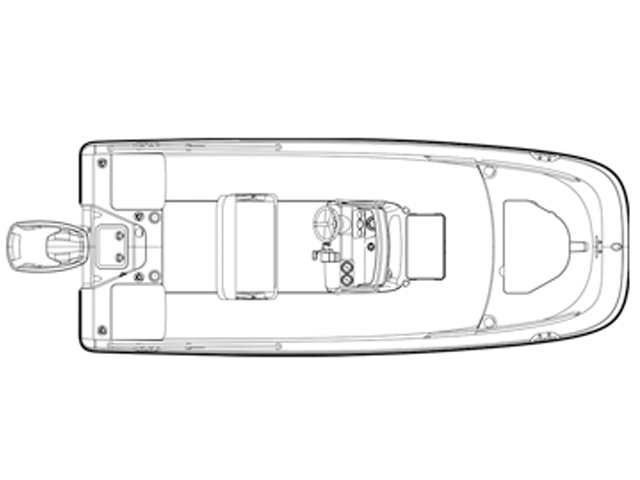 For anglers, serious fishing boat features and options include robust aft seating that transforms in seconds to form a large casting platform. 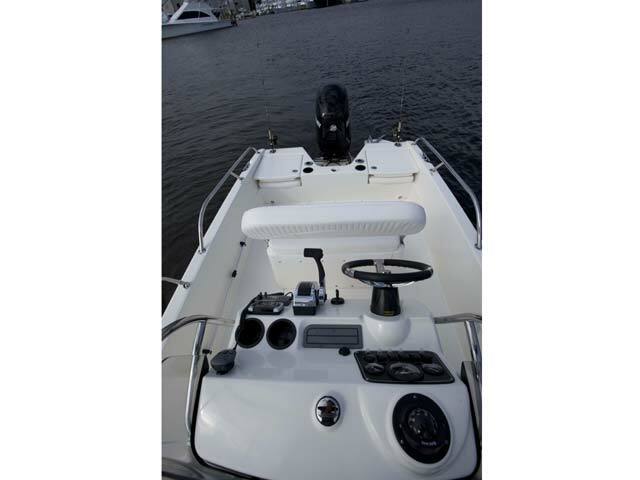 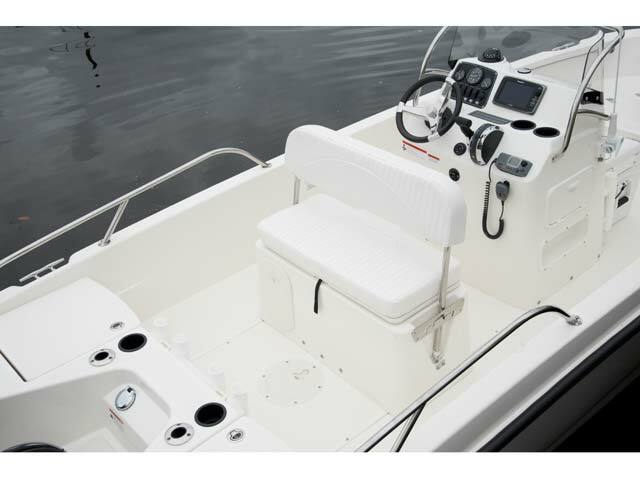 For watersports enthusiasts, the optional ski pylon and standard FourStroke Mercury engine power every turn. 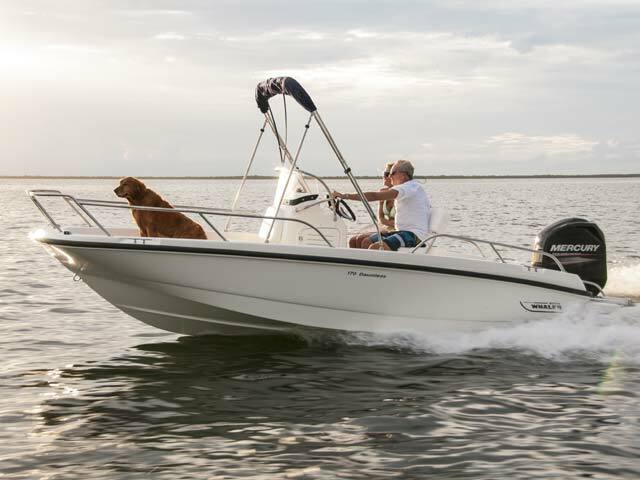 Spacious storage compartments hold all your gear, and premium amenities including an optional Fusion stereo and stainless steel accents deliver yacht-quality good looks to match all that utility. 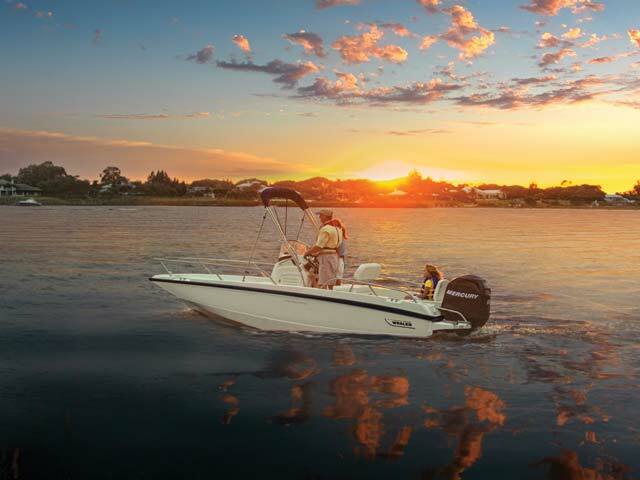 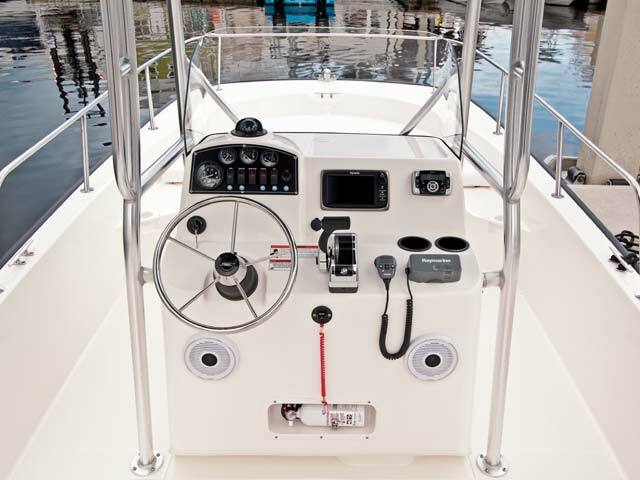 Enjoy a soft, safe, dry ride thanks to Whaler’s leading-edge design and construction.